Fort Nelson: Home of the Palmerston Forts Society. Want to know more about the Victorian defences of Stokes Bay and Fort Gilkicker? 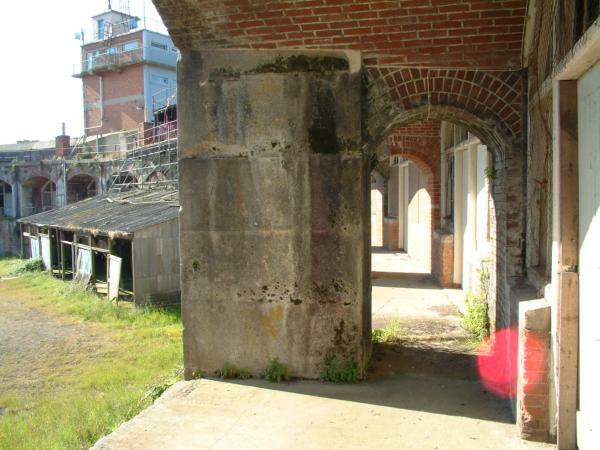 Want more information Fort Blockhouse and Fort Monckton? 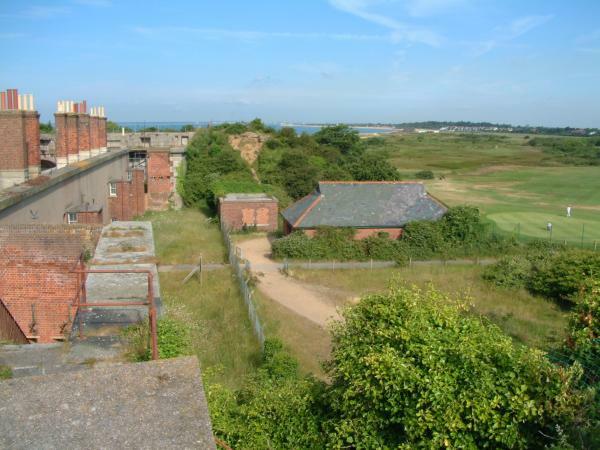 Fort Brockhurst: Gosport Advanced Line Fort. Stokes Bay Gosport : Hampshire : U.K. 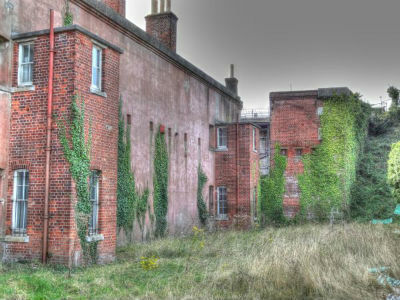 Built on the site of the earlier Fort Monckton Auxiliary Battery, Fort Gilkicker was constructed to defend the deepwater anchorage at Stokes Bay. Commenced in 1863, completed in 1871, it consisted of twenty-two gun emplacements in a semi-circular series of granite-faced casemates designed to sweep the approaches to Portsmouth harbour with devastating gun fire. During its service history the Fort was modified several times. 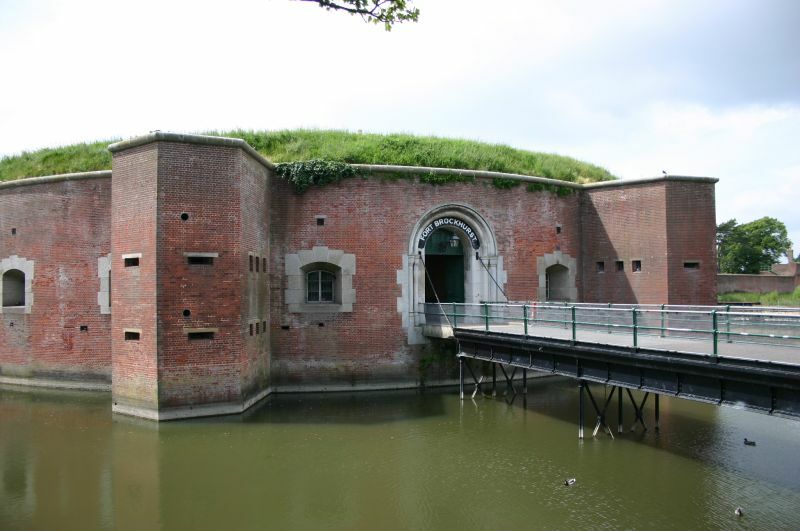 Its casemates were strengthened to protect it against the constantly developing artillery of the day. It was upgraded with the latest coast defence guns in the late nineteenth century and finally it was re-armed during WWI to protect Portsmouth from air attack. After a brief new lease of life during WWII it began to fall into disuse and was released by the military in 1956. From then on it served as workshops and was acquired by Hampshire County Council in 1986. The Fort was armed with the latest Coast Defence Rifled Muzzle Loading guns. 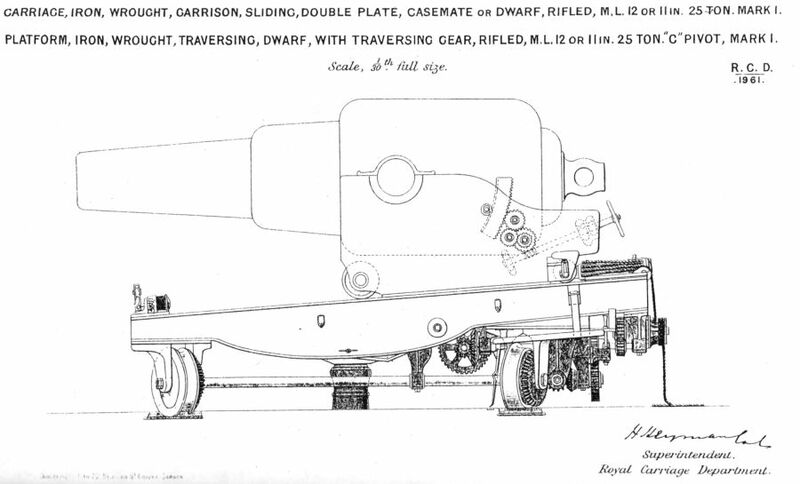 In 1898 the fort was fitted with the new 6-inch and 9.2-inch B.L. guns but their use was short-lived. They were declared superfluous in 1904. 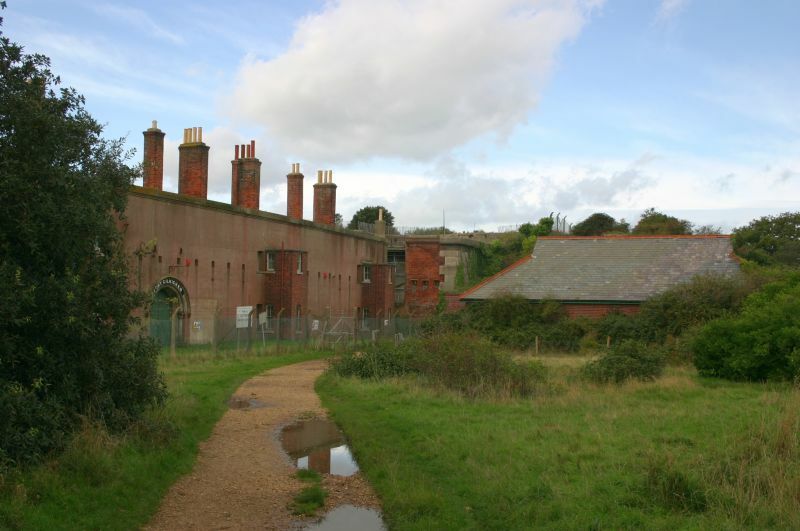 The Fort, a Grade II* Listed Building and Scheduled Ancient Monument, has been sold by Hampshire County Council and is awaiting proposals to convert it for modern use in order to secure it for the enjoyment of future generations. This unique piece of Victorian engineering is of immense importance to the history of coast defence in the United Kingdom and must be preserved at all costs. There are no proposals to open the fort for public access. If you are interested in the history of Stokes Bay then you may find something of interest here including the River Alver, the Stokes Bay moat, historic houses, the railway and Stokes Bay pier, the sea marks, brickworks, School of Electric Lighting and others. 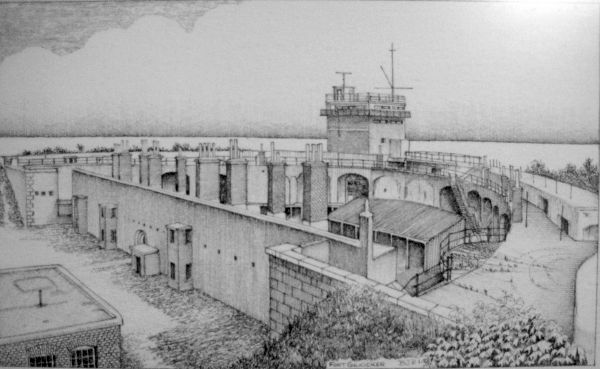 The fort is located at the East end of Stokes Bay, Gosport, Hampshire. The Fort is not open to the public and there is currently no way that visitors can view the inside of the fort. Fort Gilkicker: Rear of the fort in 2007. This Victorian Coast Defence Battery is a unique structure, functional, but elegant, with its huge granite sea-facing gun casemates and brick barrack rooms. The granite casemates have been covered with earth since 1904 and will not be visible again until the fort is restored to its former glory. 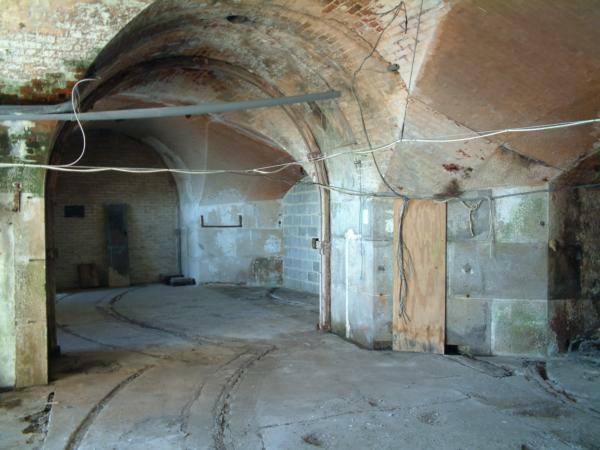 Fort Gilkicker: Interior of the gun casemates in 2007. 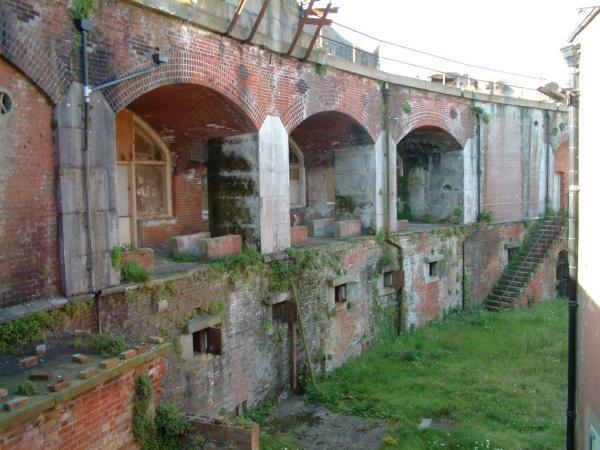 Fort Gilkicker: Rear of the gun casemates in 2007. 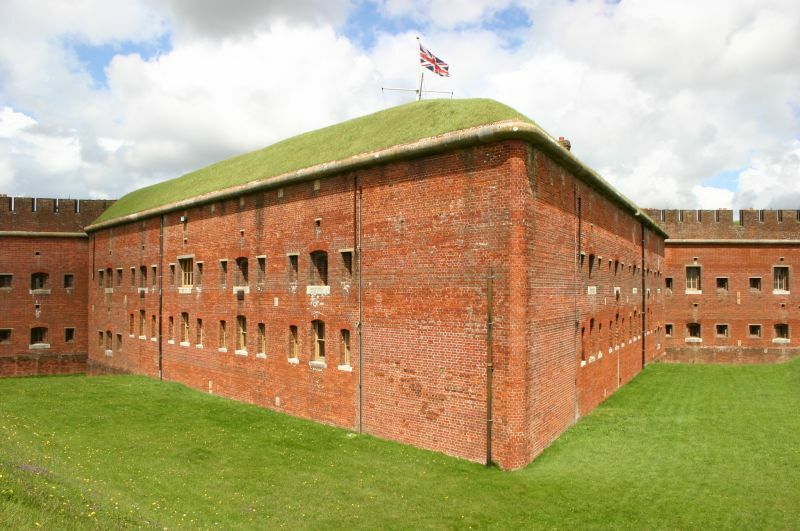 Interested in the Victorian forts of Gosport?